So deep water coral reefs are a thing, and they’re being threatened by human action, but what comes next? We are far from knowing everything about these hidden forests of biodiversity and even farther from adequately protecting them from the damage we’re inflicting on them. In the coming decades it is of utmost importance to expand our knowledge of deep water reefs and enact new legislation to protect them. 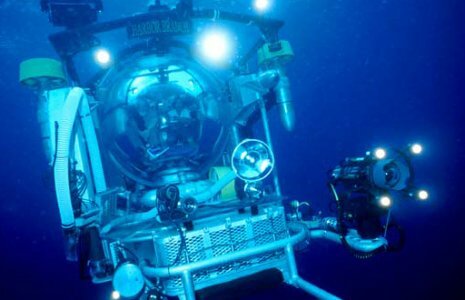 A deep water submersible used to study habitats up to 3000m deep. 4Roberts JM (2006) Reefs of the Deep: The Biology and Geology of Cold-Water Coral Ecosystems. Science 312:543–547. This entry was posted in Uncategorized and tagged 2017, cold water reefs, coral, deep water reefs, Raleigh. Bookmark the permalink.